Learn about the issues in the NY State Senate Democratic primary from true, progressive Democrats challenging former members of the IDC. Please reach out directly to candidates you’d like to volunteer to help, and/or come to Election Group meetings (more info below) on Tuesdays at 5:30 to plan more ways to get these progressive candidates elected. why is the UFT (United Federation of Teachers) supporting the IDC? The RAR Elections Group operates on the principle that in these times the best defense is an aggressive, local offense. To that end, we work to make New York’s state government progressive, humane, and able to protect New Yorkers from the damage being inflicted by the regime in Washington. The RAR Elections Group is working to turn the NY State Senate blue so that progressive legislation can be passed. We originally focused on dismantling the IDC (Independent Democratic Conference), a group of eight senators who were elected as Democrats but who chose to hand control of the Senate to the Republican party, thereby blocking important progressive legislation. Our protests, postcard campaign, phone banking, and other efforts, along with the work of the other members of the True Blue NY grassroots coalition, put so much pressure on Governor Cuomo that the IDC was formally disbanded and its members forced to return to the Democratic Conference. 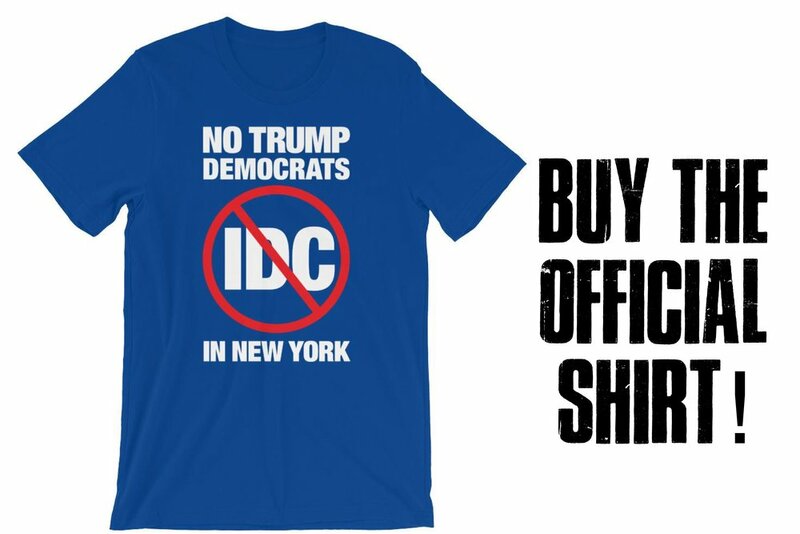 Since the IDC has made deals like this in the past and broken them, we are now working to support the candidates challenging the former IDC members in the September 13, 2018, state Democratic primary. We want to put True Blue Democrats in the Senate from each of those districts. After the primary, we will pivot to flipping red Senate districts blue in the November 2018 general election by helping with canvassing, phone banking, and get-out-the-vote efforts. Postcards RAR Elections is sending to current IDC Senators. Postcards RAR is sending to Governor Cuomo about the IDC.